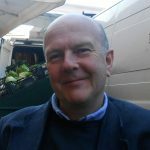 Richard Talbot is currently Head of Fine Art and Professor of Contemporary Drawing at Newcastle University. His work includes large-scale drawings, sculpture, and more recently, video/installation. His research and studio practice is centred on contemporary drawing, but he brings to this a particular interest in the theory, history and practice of perspective. His interest in drawing, and in particular his use of perspective, has developed out of originally making sculpture and finding that drawing and the investigation of line, plane and space, lay at the root of much of his theoretical and creative concerns. 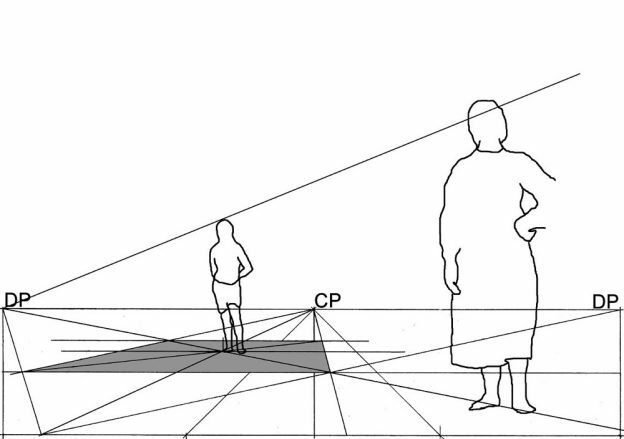 This in turn has led to an investigation into many areas of drawing practice – but in particular, the role that linear perspective plays in that practice. Richard Talbot: I studied Fine Art at Goldsmiths’ College and Chelsea School of Art, and then was awarded a two-year Rome Scholarship in Sculpture. Much of what I still do and think about has its roots in what I was exploring at Goldsmiths’, Chelsea and in Italy. Prior to all of that, I was at secondary school in Newcastle in the early to mid-1970s. I was fairly able in both the arts and the sciences. I built radios, played with chemicals, made drawings and made sculpture. At school I was very much pushed towards thinking about doing sciences at university and subsequently did three Science A levels (maths, physics, chemistry) plus Art A level. My family, in some ways had a strong leaning towards Art – my eldest brother had studied Fine Art at Newcastle University in 1962 and my oldest sister had wanted to go to art school. However, my father was of a generation that put the emphasis on working towards getting a secure, professional and respectable job – for example something in the army, the civil service, in medicine, or the foreign office. It was also the time of the cold war, so it was a very different time in so many ways. He seemed dismissive of anything connected to the arts; but having said that, as kids, we were trailed around museums, churches and castles. He had come from a working-class background, had done an apprenticeship in making fishing rods, had been in the medical corps in the army in WWII, and after the war had then worked as a surveyor for Ordnance Survey for a few years. My mother was also from a working class background and had studied ‘commercial’ art at Hornsey in the 1930s, but was forced to give it up. The course that she did at Hornsey included drawing and she subsequently worked for a short time as a window dresser. Looking back, I can see that all of this, together with school, made me quite ambitious, and gave me an understanding and appreciation of how things are made, mixed with analytical skills, and a curiosity about art, technology and technical things, diagrams and geometry, and the way we think about the world. I applied to university to study Astronomy and Physics at UCL. In my first year at UCL though, I decided that I had made the wrong decision, and applied to Goldsmiths’ to study Fine Art. In the six months between UCL and going to Goldsmiths’, I worked as a computer assistant in the genetics labs at UCL. I had in fact managed to fail A level Art, but was offered a place at Goldsmiths’ on the strength of the portfolio I had put together, and they took the fact that I had started another degree as the equivalent of having done a Foundation course. The fact that it was a science degree also helped. I studied there at a very important point in its history; Jon Thompson had a very clear vision of a radical art education, which involved exposing the students to as many kinds of practice and thinking as possible. Everything seemed possible – the interests and range of both the staff and the student cohort was by design very broad, and everything was up for discussion. We had the luxury of tutorials with three members of staff at a time. It was quite a pluralistic approach, and was very much at odds with how I knew art was being taught in many other colleges. The emphasis at Goldsmiths’ was all on the work that you were making, the ideas leading to it and stemming from it, and how it might perhaps relate to other pursuits – film, or philosophy, or literature for example. Ideas could come from anywhere. It certainly wasn’t about making art that aped other art. No projects were ever set, and no-one was telling us what to do. This naturally quickly brings you up against all the major questions that probably all artists encounter. RB: Have there been any particular inspirations/influences to your art practice? RT: As a student, I saw myself as a sculptor and was using the idea of the ‘point of view’ within the objects that I was making. I became very interested in what was considered subjective and what was objective. I was interested in landscape and I became curious about the difference between the experience of landscape, the experience of an object/sculpture, and a photograph or other representation of the landscape or object. Alongside that I was making drawings that explored this conundrum. These drawings had quite a diagrammatic quality, and in fact, at that point I was quite consciously not using linear perspective in any drawings. I became very interested in Duchamp and slowly became very interested in the whys and wherefores of linear perspective – encouraged partly by Carl Plackman and Mike Kenny, a talk by Richard Hamilton on his reconstruction of Duchamp’s Large Glass, and by discussions with Jon Thompson. 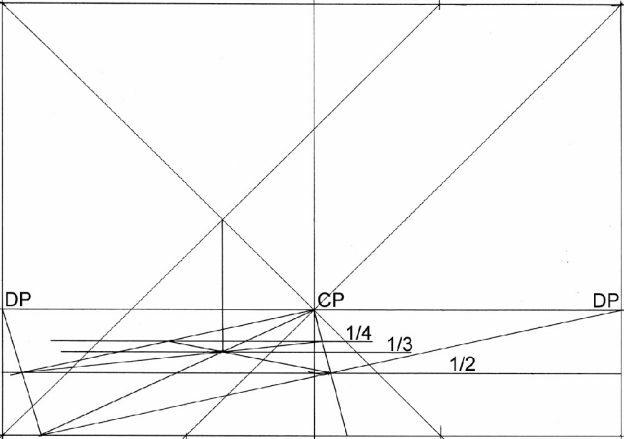 I tried to teach myself the technicalities of perspective from ‘teach yourself’ books, but it wasn’t easy; the emphasis in these kinds of books was all on the end result, whereas I found myself being more excited by the diagrams themselves. It was their ambiguous nature that was most intriguing. My BA dissertation was inspired by an article that I had seen on the references in Duchamp’s notes on the Large Glass to ideas around the 4th dimension; in particular the idea that, in the same way as a perspective image or a shadow is a projection from something three dimensional, that things we experience in the world might be projections from a four dimensional world. This is the idea/thought that is at the root of Abbott’s Flatland, Rene Daumal’s Mount Analogue, and C.H. Hinton’s Scientific Romances – all books that I read as a student. These ideas have stuck with me to this day – not in the sense that I am using those ideas directly, but they act as a reminder of the limitations of our own senses and perceptions. They have also made me particularly aware of the nature of diagrams, of drawing systems, of maps and other kinds of representations. Following up other literature from this time also led me to look a lot at images associated with alchemy and various areas of mysticism; there is something very intriguing about the glassware associated with chemistry, for example, distillation columns, flasks and retorts, and the way liquids are contained within them. The whole world around linear perspective – its manifestations in art and culture and its somewhat contested history, position and reputation continues to be a major part of what feeds into both my thinking and my drawing practice. 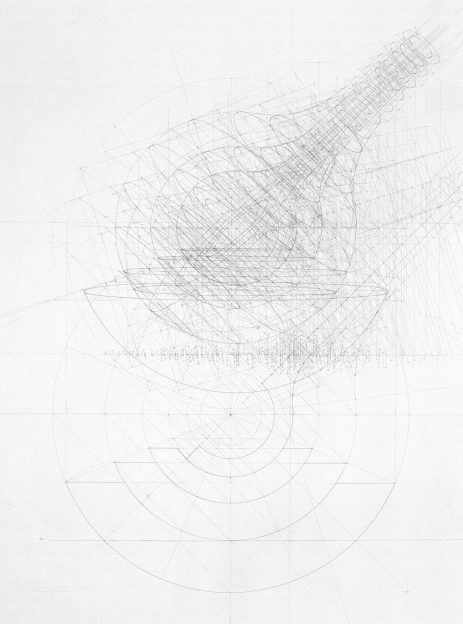 Artists such as Agnes Denes who was dealing with drawing systems and maps, and Jasper Johns, whose work seems to deal with the act of looking and the act of making objects/images remain very important to me. RT: Drawings have become more and more dominant in my practice – partly because I began to feel frustrated with materials, and also I realised that many of the things that I wanted to do with objects, I could do within drawings. I felt quite frustrated by the physicality of sculpture. In retrospect, I can also see that one of the reasons that the drawings became more important was that they remained quite open-ended, whereas the sculpture was, by definition, working at a fixed scale and at a fixed point in space and time. This open-endedness was also a result of their pared-down nature – largely made using only 4H pencils, without any tone or colour that could hint at something from the real material world. The drawings are kept quite transparent – in the sense that nothing is obscured. All of the ‘workings-out’ are kept visible and form part of the spatial scaffolding. I am playing with the tension between the diagrammatic qualities, the construction marks and lines on the paper, and the illusionistic readings. I am very aware of the white paper, and the almost infinite potential of the space that the blank piece of paper represents. Of course, it is the same curiosity and sense of wonder about the universe that informs and excites me when making drawings that drove me to study astronomy and physics at university. The drawings could represent any scale, but the making of them still involved construction and many of the other things I was doing in the sculpture – cutting and carving and positioning. I am also very aware of the physical qualities of paintings and drawings and find myself looking at their surfaces quite closely. Certain painters also stand out for me; for example I believe that Piero della Francesca was also engaging simultaneously with both the diagrammatic and the illusionistic properties of the paintings that he was making. This results for example in the particular spatial and design qualities of The Flagellation of Christ. I also very much appreciate some of Giotto’s paintings where one can see that the painting isn’t simply an image or impression of something real. Giotto clearly knows how things – buildings, roofs etc. are constructed and then demonstrates their construction very clearly in the painting. He isn’t simply painting a visual impression of what is there – the painting is almost an equally real parallel world. RB: You have said in your statement that “Drawing has become the major part of my studio practice, but I think of myself as a sculptor”. How are your drawing process and sculpture related? Can you say something about how they inform one another in your working process? RT: When I begin making a drawing, I am not working with images as a starting point, and neither am I working with a final image in mind; I may start with a hunch that two things are connected in some way – and quite often that is a formal connection. For instance, several drawings have used a simple boat shape, which for me is also similar to a lens, and that idea seems to connect to the idea that a boat separates and sits between two media. The boat is a self-contained form and the water becomes the shape of the boat – the water flows around it. The inside of one thing is the same shape as the outside of something else. 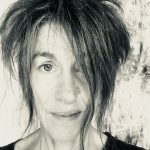 I am perhaps making connections between space and solid and liquid – rather than thinking about anything in terms of images. I am thinking about these things as substances that can be conjured up, constructed with, carved and cut away. This is perhaps picking up something that Leonardo said about objects and their boundaries – that space starts when an object ends, and an object ends where space starts. I like the idea of the complete equivalence and interchangeability of the different substances and entities, and perhaps the very simplicity and sparseness of the drawings, creates a unity that would be awkward to bring about otherwise. Some of these ideas also came to the forefront after a trip to Egypt and seeing some of the extraordinary tomb paintings depicting the river, the sky and the sense of flow, and recurrence, of both the river and of time. Another example of the relationship of drawing to sculpture, would be the drawing Missing the Target. 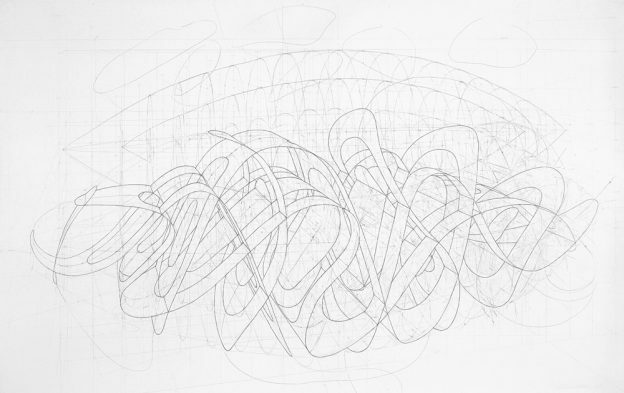 This drawing took its starting point the idea of a target – a motif that Jasper Johns has used extensively, and which can be thought of as relating to looking. The construction within the drawing is such that if it were to be seen from one end, it would appear to be a set of concentric circles. 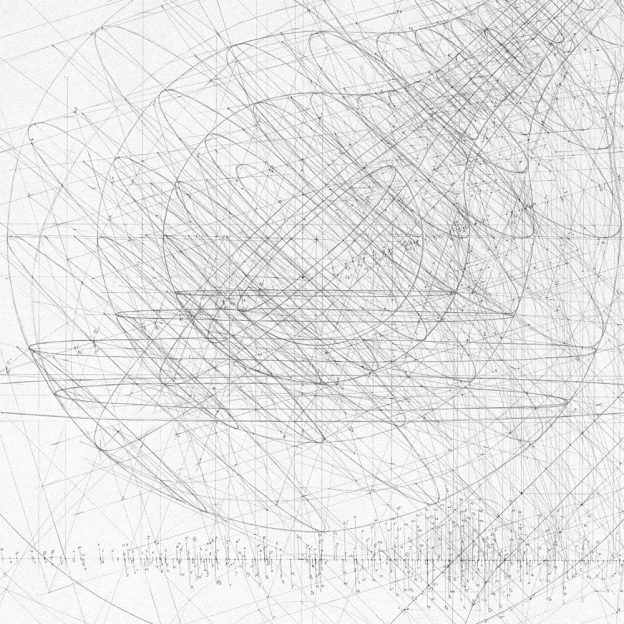 RB: There are many definitions of what drawing is, but one I am particularly interested in is that of ‘drawing as the trace of a line of thought’. How does this definition resonate with your work? Drawing as Process. 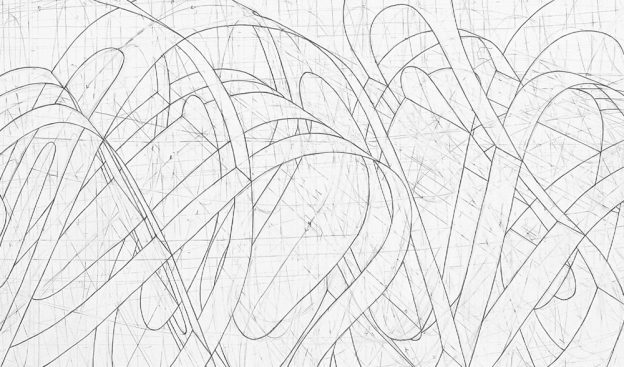 Drawing as Document.